I’ve done this matte painting for the Slashthree’s project entitled « New Era ». This artbook features 21 new high quality artworks plus 20 old works from the group. This scene tells a crucial step in the lives of two children, the last survivors of a world that had died after the war, famine and disaster. 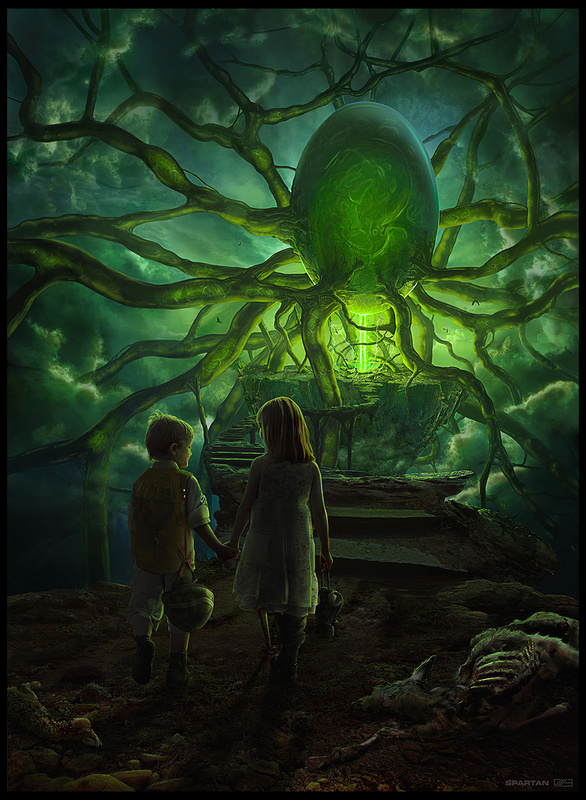 The children walk to their only and last chance to rebuild a living world: a mysterious and powerful egg which is linked to radiating veins. Their final destination is the metaphor of life, of their last chance, a sort of « reboot » for their dark world. You can see a WIP on my blog (just scroll down if you don’t read French). Be sure to buy yourself a copy of the book on Slashthree.